You don't have to worry about a specific picture mode to achieve low input lag for gaming on the Vizio P Series - they can all have a good one. However, the choice of HDMI port does have an impact. We used HDMI 5 for our tests. 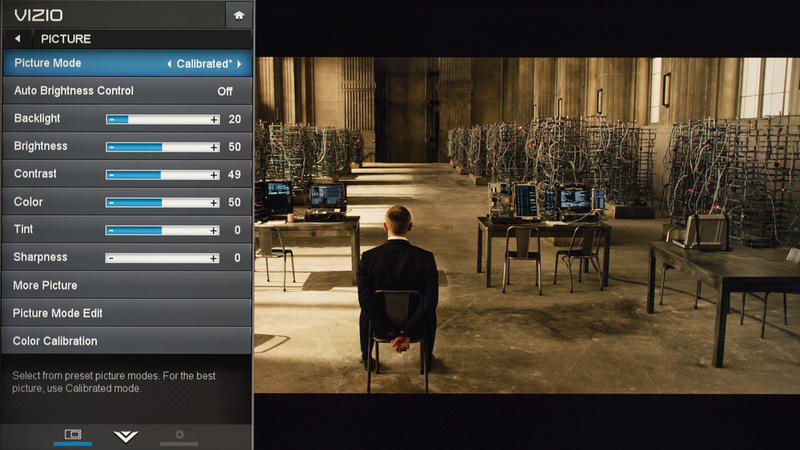 We selected the Calibrated mode as a base for our calibration. Black detail: Remaps the HDMI black level. This setting will depend on what your source type is. Active LED Zones: This is the full array local dimming feature. See the Q&A section of our review for details and pictures. Smooth Motion Effect: This is the soap opera effect/motion interpolation feature. See the Q&A section of our review for details and pictures. Clear Action: This changes the backlight algorithm. It adds flickering, but reduces visible motion blur. See the Q&A section of our review for details and pictures. Reduce Block Noise: This filters out the block artifacts of compression. Turn this on for everything except Blu-rays, PC, or video games. Game Low Latency: Reduces the amount of input lag, but deactivates the Smooth Motion Effect feature (even it if isn't grayed out). 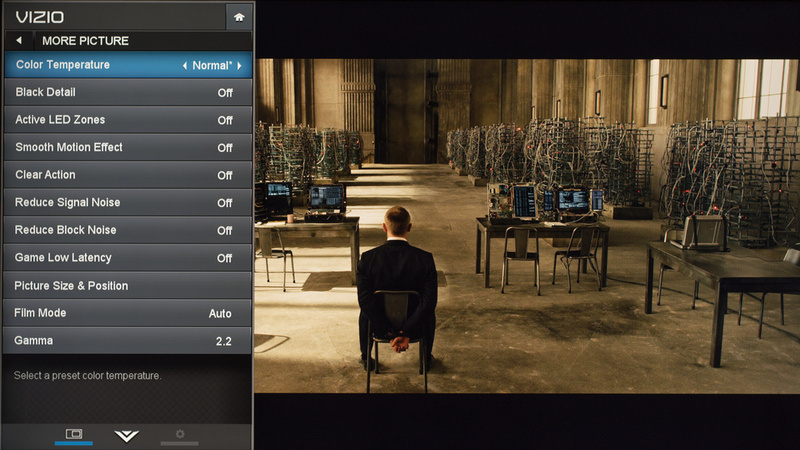 Film mode: 24p playback, which removes juddering on Blu-rays. 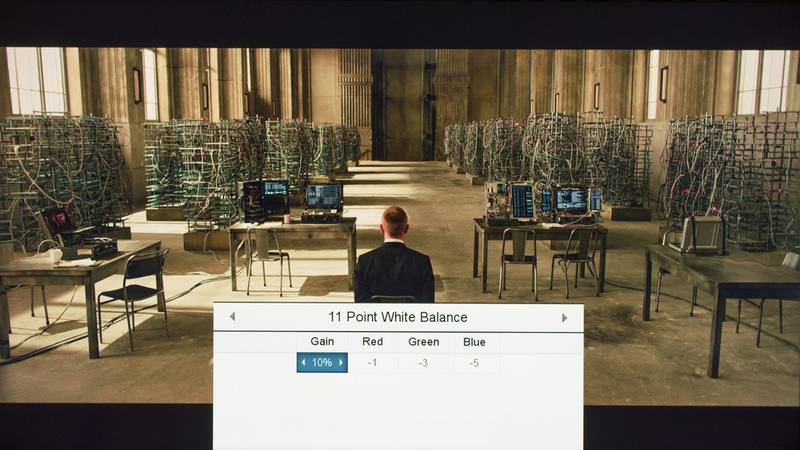 This is the result of our 11 point grayscale calibration. Unfortunately, this won't translate well to other panels, so we don't recommend that you copy these settings for your own TV.